Hip... Hilarious... Raw The greatest names in comedy rocked the house for nine seasons on HBO - now this amazing collection will rock yours again and again. 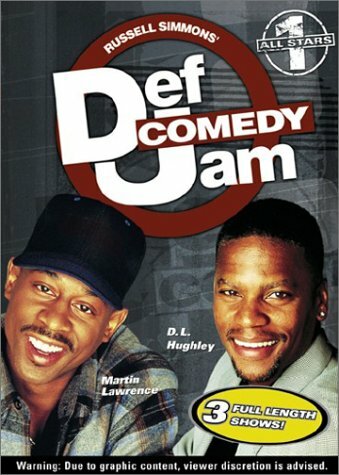 Too explosive for regular TV, Russell Simmons' Def Comedy Jam features today's hottest comedians at their wildest and funniest. Whether you're laughing for the first time or catching your raucous favorites, Russell Simmons' Def Comedy Jam is the ultimate comedy experience - so outrageous that you'll definitely be back for more! If you have any questions about this product by Time Life (Ventura), contact us by completing and submitting the form below. If you are looking for a specif part number, please include it with your message.